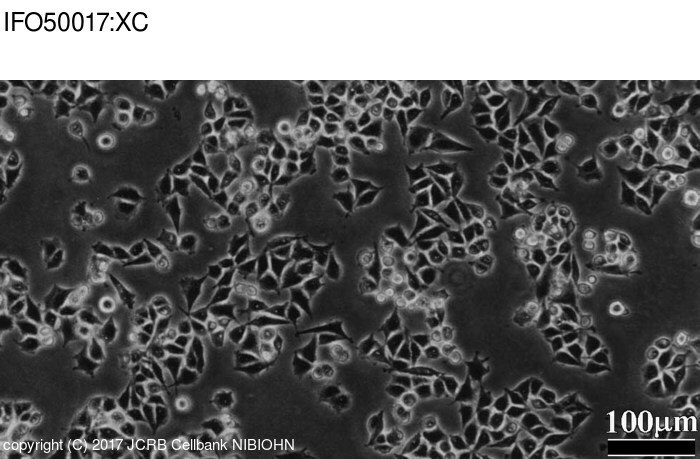 This cell line contains Raus sarcoma virus genome but does not release viral particles. (Neoplasma, 9, 104 (1962)). In vitro cultivation of rat sarcoma XC cells containing Rous virus. An in vitro system for the detection of the Rous sarcoma virus in the cells of the rat tumour XC.